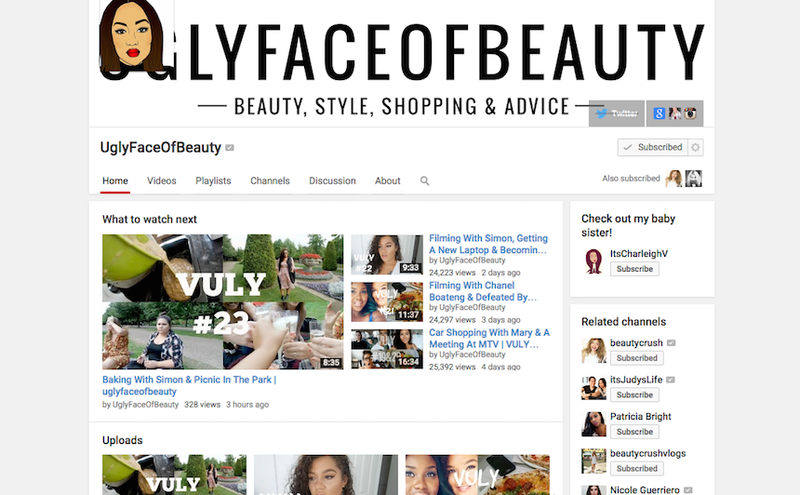 Recently I've become so immersed in the world of YouTube and vloggers. I don't know what it is about it, because a lot of the time the vlogs I watch the vloggers are just wandering around London or just chilling at their houses - just doing boring everyday stuff, but I just can't stop?! I think it's because I'm super nosey and I love knowing what goes on in other peoples everyday lives, I think it makes me feel a bit better when I have days not doing much, just knowing that others have those kind of days too. BEAUTY CRUSH a.k.a. Sammi Maria. Sammi is genuinely one of my all time favourites. She was pretty much the first YouTuber I ever found and I just love how lovely she is and her cute little family. Her dogs Riley and Franklin are just the cutest things ever! Also her blog is just to die for. Her style, the settings, the photos. Just everything. Absolute goals. Oh my god, Gracie is hilarious, she's just so real and down to earth and just so funny, I'm always laughing out loud watching her vlogs. On top of that she's absolutely gorgeous! 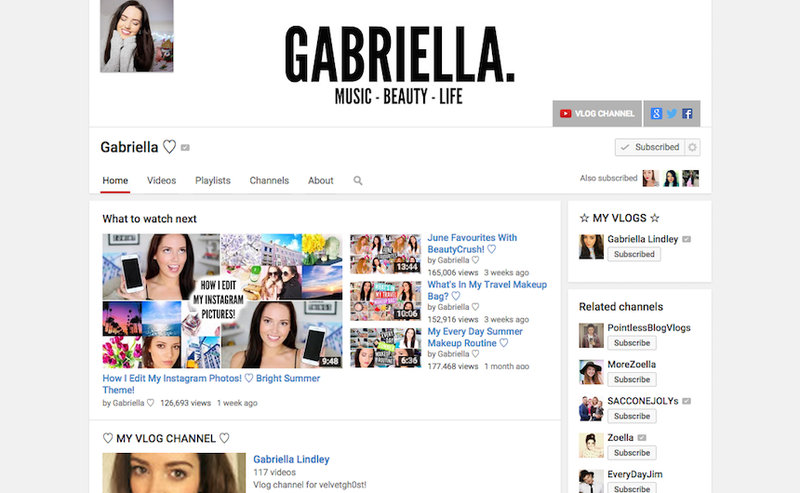 Recently she vlogged everyday in July - or Vuly in vlogging terms. She also has a blog which is amazing too. 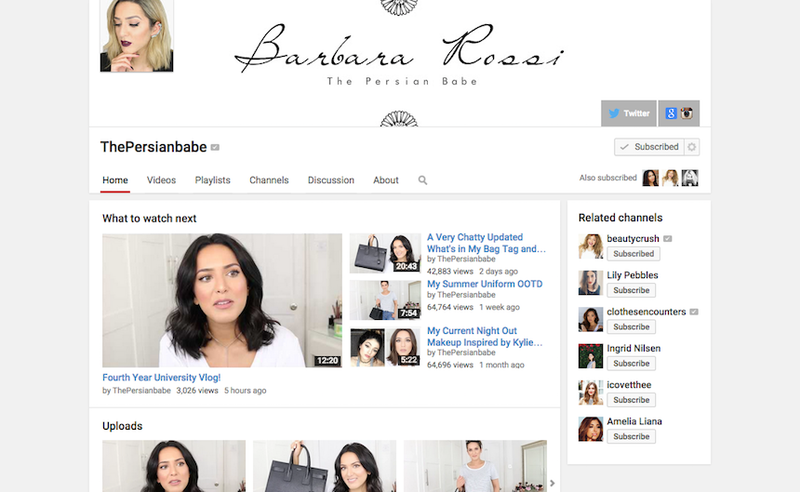 Barbara's style is just incredible, I love her OOTD videos and her room tour. I also love her frank talks about uni and how she's found each of her 4 years, I find them so interesting as I've just finished my 1st year and it's interesting finding out what someone else found their first year and the other years as time went on. VELVET GH0ST a.k.a. Gabriella Lindley. First off, Gabby's flat (her new one as well as the original) is stunning just I love all of her home decor. Now she's launched a Primark Home range I can get some of my own. Eek! She also just seems so normal and funny, just someone I feel like I'd be friends with in real life. Technically not a vlogger or one YouTuber, but I adore ASOS (as you'll know from my most recent wishlist HERE and lots of other posts sharing the love). 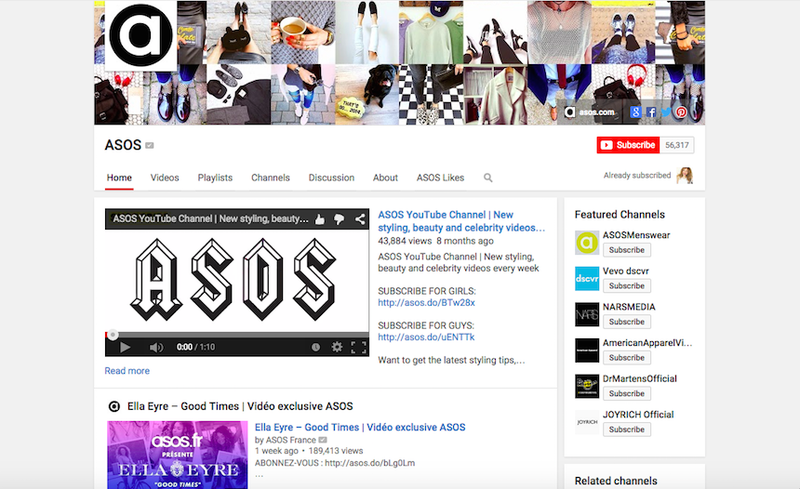 Their You Tube account is yet another way I can immerse myself in the world of ASOS. 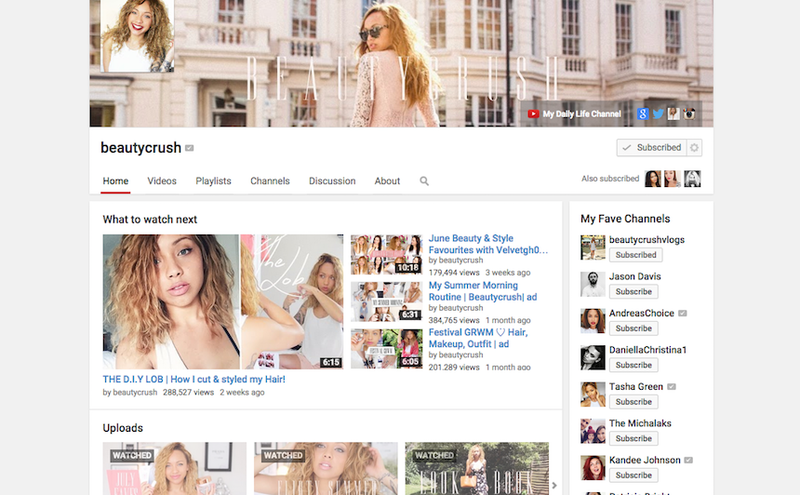 Relatively short videos but incredible content - lookbooks, celeb interviews, hair/make up how to's, stylist videos. It's just incredible. If you've not already, definitely go and check it out! I keep toying with the idea of starting some kind of YouTube channel but I feel like I'm really boring and would have nothing interesting to film haha. Aside from the fact I hate my face/voice/everything on camera. Probably not the best idea for me really. We'll see.